As mentioned before, one of the features of these revised and new readers is that the Activity Book has been made a part of the reader. This means there is no risk of it being lost, and teachers can choose to do the activities in class or as homework. The Activity Book can be foundat the back of each reader. It contains 22* pages of activities, broken down into two pages of activities for each chapter in the story. 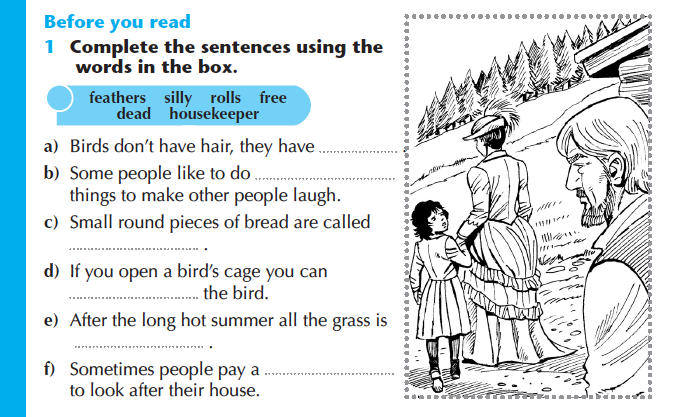 These activities test the student’s comprehension and their understanding of new vocabulary in the corresponding chapter. 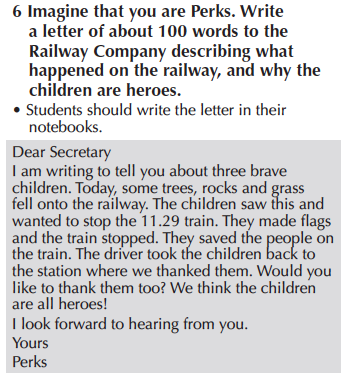 Students can write answers onto the page. Each chapter of activities starts with a ‘Before you read’ section designed to test students understanding of new vocabulary. Definitions for the new vocabulary can also be found in the glossaries at the end of the stories, should students need to refresh their memories. The Activity chapter continues to test comprehension, prompting students which pages they need to re-read wherever necessary. Each Activity Book chapter finishes with a writing task for students. The length of the writing increases through the book, to increase the challenge to students as they progress. 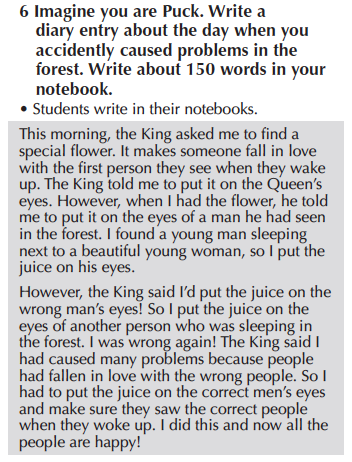 This is the only activity where students have the opportunity to write the answers in their notebooks. This writing can serve as homework if the Activities are covered in class, or are useful for fast-finishers. In addition, these writing tasks could provide material for a portfolio of creative writing for students. 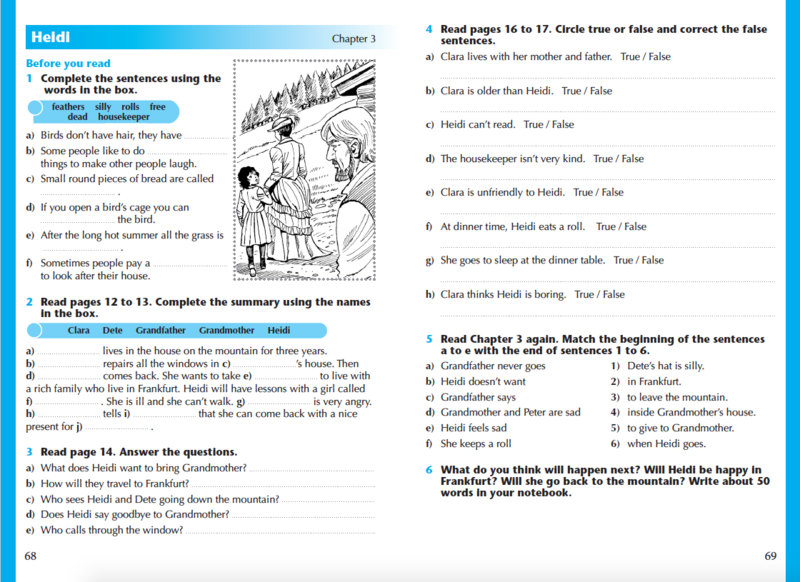 The Teaching Notes and Answer Key are provided in an 8 page pamphlet and give brief but concise instructions for each activity, along with an answer key or suggested answers for writing tasks. These writing activities cover an array of types: letters, diary entries, short essays, etc. While challenging, this also provides students with further opportunity to practice writing structures. 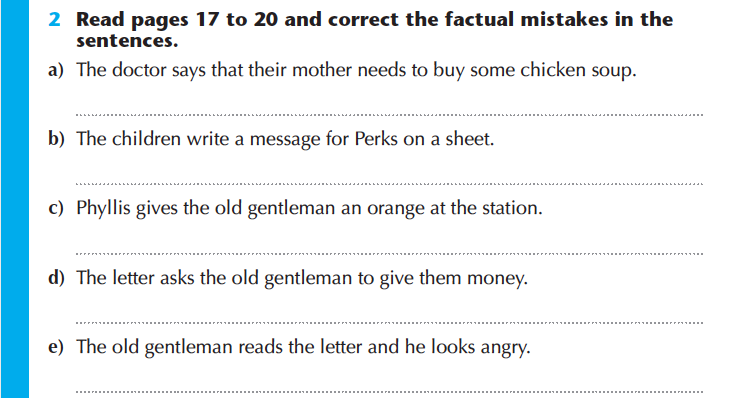 The suggested answers give both teachers and students a framework for these different types.